Assessing the worth of a domain name can be challenging. If you’re in the business of buying or selling domain names, it’s important to accurately determine their value and get as much exposure as possible. There are people who do this for a living. Domain name brokers can help you buy, sell and appraise domain names. A domain name can help you create your unique internet identity. This is important for companies who need to establish their brand. Websites provide a place to share information about your business and sell your products and services. However, the domain name industry has gone beyond simply registering a name for a particular business. Many people profit from domain name reselling, leasing and bartering. Domain name investment involves buying high-quality domain names with the intent of selling them for a profit. Domain names can be registered for a mere $10. However, a buyer who values a particular domain name may end up purchasing that name for thousands. In addition, if you can monetize the domain while waiting for a buyer, you’ll continue to bring in profits until the name can change hands. Brannans.com domain name brokers can help you buy or sell just about any premium one-word or short .com domain name. We’ve seen founder and CEO David Clements at Brannan’s in action. He’s really good at convincing other domain owners to sell, making him one of the top brokers for you to consider if you’re looking to purchase a domain name for your business or brand that’s already registered. David also always brings value to the table. He’s one of the strongest strategic negotiators we’ve seen, and he has a knack for putting deals together. He also invests substantially in domains as an asset class. David currently owns Batteries.com, an online battery retailer founded in 1999, and he’s owned other intellectual property like Cheesecake.com, ePayments.com, and ElToro.com. He really does understand the branding power of premium domain names and he has several interesting anecdotal stories to go along with his ownership of the domain names mentioned above. Some Transactions Brannans.com has completed include: Batteries.com, PK.com, Less.com, Hux.com, ElToro.com, Cheesecake.com, Christian.com, Digital.com, DEC.com, Bristol.com, Whiskey.com, Sterling.com, Rio.com, Hotdog.com, WEE.com, Trampolines.com, Smartphones.com, Physical.com, JWI.com, JPH.com, GraduateSchool.com, Putters.com, Residences.com, ePayments.com, Nikki.com, AYK.com, Crude.com, Filet.com, Volleyballs.com, Numo.com, and DigitalMarketing.com. Domain names are not created equal. Imagine that you have a business that sells muffins. You would probably rather use the domain name Muffins.com than Online-Muffin-Shop.net. A premium domain name is short, descriptive and easy to remember. If you have a company that could profit from the domain name, you’ll want to purchase it at the best price possible. If you’re investing in domain names to resell at a later date, you’ll want to make sure that you’re purchasing the most desirable premium domain names. There are only so many appropriate phrases available to create premium domain names. If you’re looking for the name that will bring in the most traffic to an established business, a broker can help you get creative while selecting the most effective name. If you’re seeking to build an investment portfolio, a broker can help you brainstorm ideas. Domain name brokers are the experts when it comes to valuating web addresses. The domain names that you purchase can make or break your portfolio. Working with someone who has experience in the industry can help you make purposeful investments with less risk. This is important because domain names are only worth what someone is willing to pay for them. Unlike physical property, domain names don’t have an inherent valuation associated with them. Navigating the waters of domain name valuation can be tricky. While most domain names are sold for prices that range from $5,000 to $80,000, premium domain names can sell for far more. Brokers are also aware of the legal ramifications of developing domain names. You can’t just register a domain name that sounds oddly similar to a trademarked company name. If you knowingly create a domain that infringes on a registered trademark, you could face legal problems in the future. Brokers can help you navigate this potentially confusing arena. Because domain name investment has become so prevalent, domain theft and hijacking is also becoming a problem. For that reason, the safest way to buy and sell domain names is to use a domain name broker. Brokers will usually hold payments in escrow and provide domain transfer services. This can protect your property and assets and ensure that the transaction is sound. If the buyer is using a payment plan, specifications about how the money will be handled will need to be negotiated wisely. Many investors prefer the security that comes with working with a broker. A domain name broker acts as a mediator and can help set and negotiate prices. Like a real estate agent, the broker can act on behalf of the buyer, the seller or both. Dual brokerage could become a conflict of interest, however. Most people want to make sure that the same broker is not working for the buyer and the seller. Using an experienced domain broker can help you get in touch with buyers and sellers. Many domain name owners are more likely to respond to a broker than a random email form an individual. If your broker is an expert negotiator, you can make a bigger profit when selling a domain name. You may also be able to negotiate a lower purchase price through a broker. Many brokerage firms have found that using a mediator improves communication between buyers and sellers. Whether there is a language barrier or just confusion among the parties, a broker can clarify terminology, offer solutions and prevent delays. Working with a broker who has experience in a particular market may help you conduct more profitable transactions than buying and selling on your own. Some brokerage companies even allow you to make payments over time. We’ll help you get started looking for a domain name brokerage service. Below is a list of some of the more well-known and reputable domain name brokers. Igloo Domain Advisors is a growing company that is all about building relationships. The brokers at Igloo recognize that their clients have a unique vision. The experienced advisors have the knowledge and expertise to make that vision a reality. Co-founder and CEO Tessa Holcomb is a specialist in online media, high-level negotiations and initiating growth strategies. She and her team have made Igloo one of the most recognized names in the domain advisor world. Igloo offers different membership levels to match the needs of its clients. Membership makes it easy to achieve your goals as a client. Whether you need professional consultation or want to buy or sell in a premium domain marketplace, you can easily succeed using Igloo. Name Experts was founded by Joe Uddeme, a successful entrepreneur who has sold and brokered millions of dollars in domain names. The customized approach is reliable and trustworthy. This is an ideal company to use from the idea incubation phase through the selling, buying and transfer of a domain. If you’re not sure whether you need a broker, you can schedule a free consultation with Name Experts to find out all of your options. One of the standout characteristics of Name Experts is Uddeme’s hands-on approach. It’s not a passive marketplace for domain sales and acquisitions. Name Experts provides guidance from the initial ideation until the sale is complete. When you work with Uddeme, you’ll find a successful solution to all of your domain brokerage needs. At Sedo, you can search for and buy domains or take a more personalized approach and work directly with a broker. If you’re buying a domain, a broker can suggest alternatives and variations for web addresses that are desirable to you. If you’re selling a domain, the brokers at Sedo will help you get more exposure. You don’t pay any fees unless your domain name sells. The experts at Sedo can also appraise a domain or portfolio. The company is the largest trade platform for domain names. In March 2016, more than 50% of domain sales were conducted through Sedo. Dave Evanson, a senior broker at Sedo, owned a marketing and strategy consulting firm for 20 years before starting to buy and sell domain names. He has been named Domain Name Broker of the Year twice. Sedo is one of the best places to sell a domain name quickly. It’s also one of the largest databases of domain names that are available for purchase. Raindrop offers inbound, outbound and auction domain brokerage services. The Raindrop marketplace allows you to list your domain name in a high-traffic area. The service handles pricing, lead management, negotiations, closing and domain transfer. You can also use Raindrop’s extensive network to reach out to premium buyers. If you want to sell your domain name as quickly and efficiently as possible, you can use Raindrop’s auction services. Pricing is straightforward, and you’ll never pay a brokerage fee unless your domain name sells. Media Options is an expert not only in domain name brokerage but also in search engine optimization, or SEO, and online media strategy. The company prides itself on offering personalized service to take domain name investment to the next level. Whether you’re looking to connect with buyers or sellers across the globe, sell a domain name rapidly at wholesale prices or find a premium buyer, Media Options can help. The company’s Domain Newsletter puts your domain names in front of thousands of professionals. Media Options also has experience monetizing generic domain names. The professionals at Domain Name Sales understand that a premium generic domain name can make or break an internet business. The company prides itself on being able to help businesses create a strong brand identity using the most effective domain names. The motto of Domain Name Sales is “Why build a brand when you can buy one?” The comprehensive sales platform is free to join. You can have your domain appraised for free, and the Domain Name Sales team members can assist you in ten different languages. Kevin MacPherson understands that sometimes it takes more than a URL to sell a domain name. In addition to helping you buy or sell a domain name, Kevin MacPherson can help you develop websites that you already own. This can make them more attractive to buyers. Developing a website can help you maintain an income stream while you try to sell a domain. MacPherson’s SEO packages can help bring traffic to your website. The company also offers traditional brokerage services. Outcome Brokerage works with novices in the industry as well as Fortune 500 companies. As a new domain name buyer or seller, it can be difficult to find a broker who will work with you. Ryan Colby, the founder of Outcome Brokerage, is devoted to helping just about anyone with domain acquisition and divestment. Outcome Brokerage even offers consulting services to help companies develop ideas that will bring them the most success. 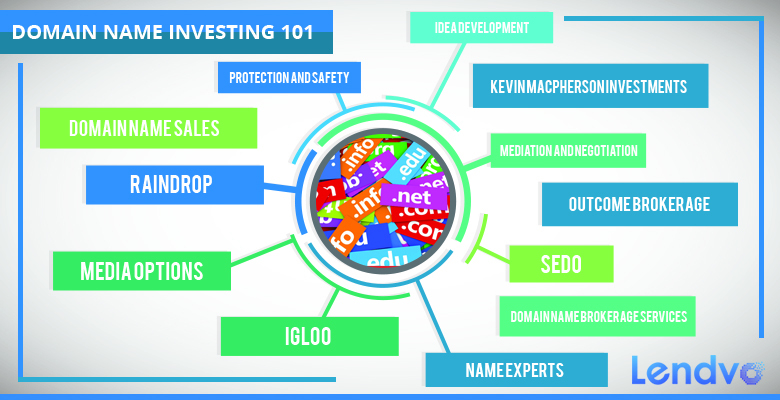 Domain name investing can be a complicated process. As an investor, you have unique legal and financial needs. You must communicate with potential buyers or sellers on a daily basis. You may be involved in complex offers. Working with a broker gives you access to expertise and knowledge that you might otherwise lack. A broker can also exponentially increase your reach. More exposure means more potential profit. Finding the right domain name broker can help you succeed in a marketplace that may otherwise be inaccessible.